Check what awaits you next week. 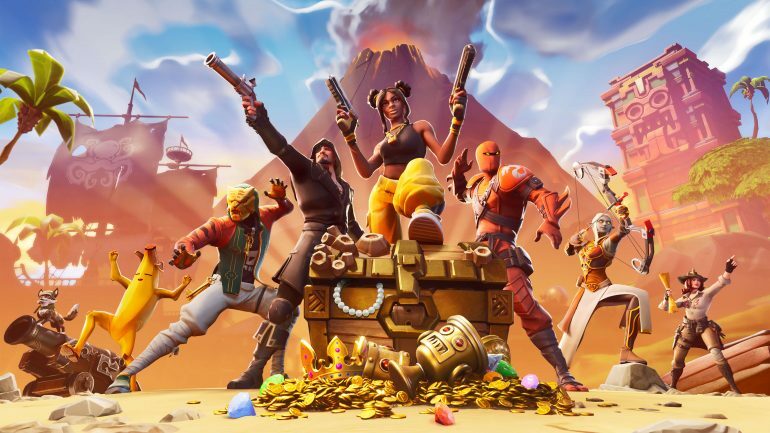 Fortnite: Battle Royale players have just unlocked the week six Battle Pass challenges. As always, there are three free and four premium challenges for players to finish and get Battle Stars as a reward. Players are able to complete them in any Battle Royale game mode apart from Playground and use the diversity of modes to their advantage. Check out the full list of Fortnite challenges of season eight, week six. These challenges have only a few variations from the usual weekly Fortnite challenges. Players continue having to get eliminations in specific, named locations, this time at Lazy Lagoon or Frosty Flights, and with specific weapons, with the newly-released Flint-Knock Pistol and the leaked Boom Bow. Players will once again have to look at the Treasure Map loading screen to find the knife and the place it points. And that’s where they’ll probably find an item waiting to be searched. Visiting the five highest elevations on the island should not be a problem as well, since some of these areas already have small signs on them showing how tall they are. Finally, players will need any two throwable items to complete the last premium challenge, such as Clingers, Stink Bombs, and Impulse Grenades. Players should have the week six challenge set unlocked on April 4 at 9:30am CT.